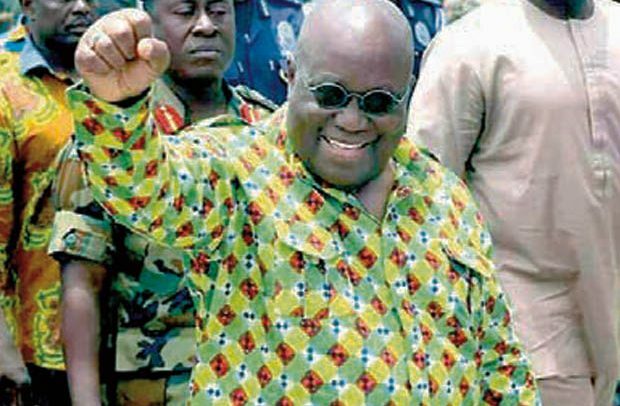 Of course, President Akufo-Addo is deserving of plaudits for walking his talk of bringing a closure to the Dagbon chieftaincy conundrum. We find it hypocritical the attempts at denying him the deserving accolade by some National Democratic Congress (NDC) elements. They would not stop the politicizing of everything under the sun in Ghana including the important chieftaincy institution, the custody of our heritage. For the many years that the NDC was at the helm they could not fashion out any plan to address the challenge posed by the imbroglio in a manner that would restore normalcy to the restive traditional area of Dagbon; now that somebody with the appropriate wherewithal and commitment has done it, they have mischievously turned to remarks aimed at belittling the role of President Akufo-Addo and former President Agyekum Kufuor. It takes commitment and tenacity of purpose to turn things around in a place which has not known peace for a long time especially when the NDC is doing everything possible behind the scenes to pull the hands of the clock backwards. As masters of the game of chicanery, we know what they did to deny the people of Dagbon this new picture of peace because the state of belligerency inures to their electoral interest. Their exploitation of the fractious situation for electoral gain constituted a moral crime for which posterity would judge them. It looks funny how they have jumped into the celebration originating from the victory of the restoration of normalcy when the contrary is their preference. The man who crafted the Committee Of Eminent Persons template, former President John Agyekum Kufuor and the man who embraced it, President Akufo-Addo and the Eminent Chiefs are responsible for the new picture of Dagbon. The wisdom in issuing an Executive Order by President Akufo-Addo to give teeth to the process played a crucial role in the positive outcome which well-meaning Ghanaians are relishing today. Even when the going got tough following the throwing of spanners into the process to deny the President and the government the glory of bringing a closure to the long-standing and sometimes bloody engagements, the President and the Eminent Chiefs were steadfast. We can understand that the game being played by the NDC at this time is a face-saving one for which we would just allow them to bask in as they tickle themselves and laugh. Even as they engage in the game of hypocrisy and insincerity, their hallmarks, the inscription is already dry on the marble stone of Ghana’s history that it took the temerity and steadfastness of a President to implement the contents of a roadmap to end the uncomfortable state of belligerence in Dagbon. What could not be achieved in eight years or even more was accomplished in just two years. The difference is palpable.